The title of this exhibition, The Ethereal Rock, is borrowed from a story written in 1679 by Pu Songling. This short story is about a man who finds a rock and falls in love with it. The rock is described as having 92 grottoes and the ability to exhale little clouds. Various incidences occur throughout the story that challenge, not only the man's ability to claim absolute ownership of the rock, but also many others who try to pursue this magical object. The reader is led to confront notions of desire and the consequences of fanatical devotion. The sparse descriptions of the ethereal rock creates an image that is left to the reader's imagination, to be inferred from the endless struggles to possess it. 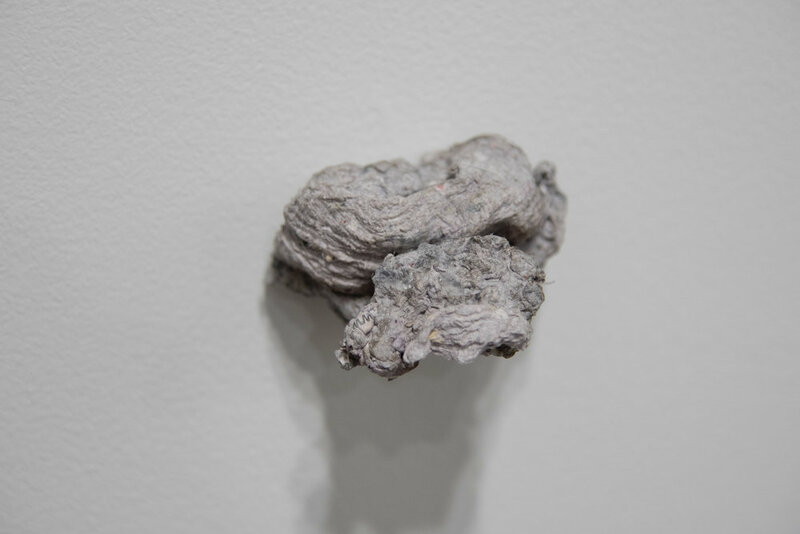 The works in The Ethereal Rock expand upon the passages in the story through drawings, paintings, and sculpture. The experience of intense preoccupation over a singular subject is replicated through repeated attempts to interpret the the rock, while suggesting that irrational obsession may yield no more than the impossibility of knowing the things closest to us. 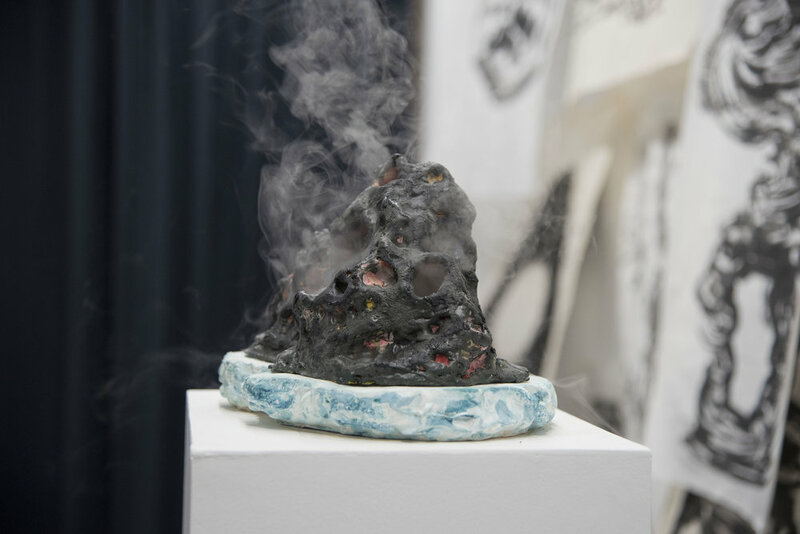 Jessica Jang works across mediums such as painting, sculpture, and animation to explore the transformative conditions of liminality and the portal. 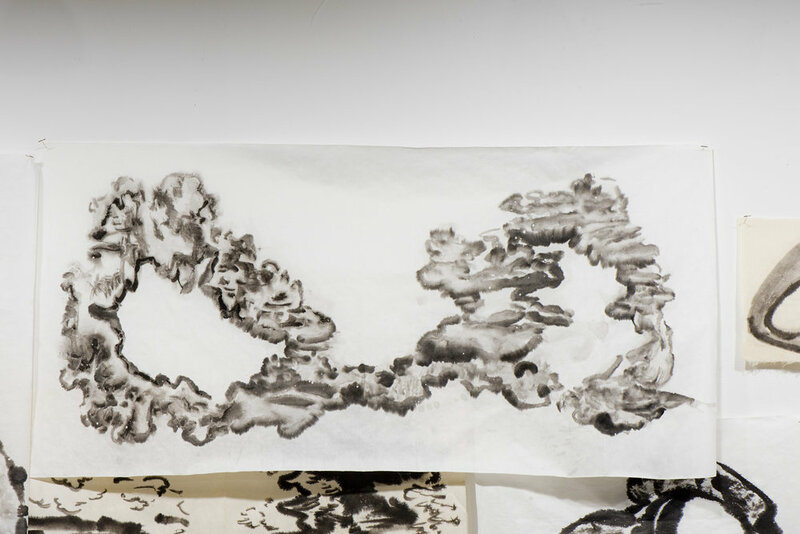 Jang draws upon Chinese scholar rocks and mythology to explore the portal's generative possibilities and questions whether bodies can occupy such thresholds. 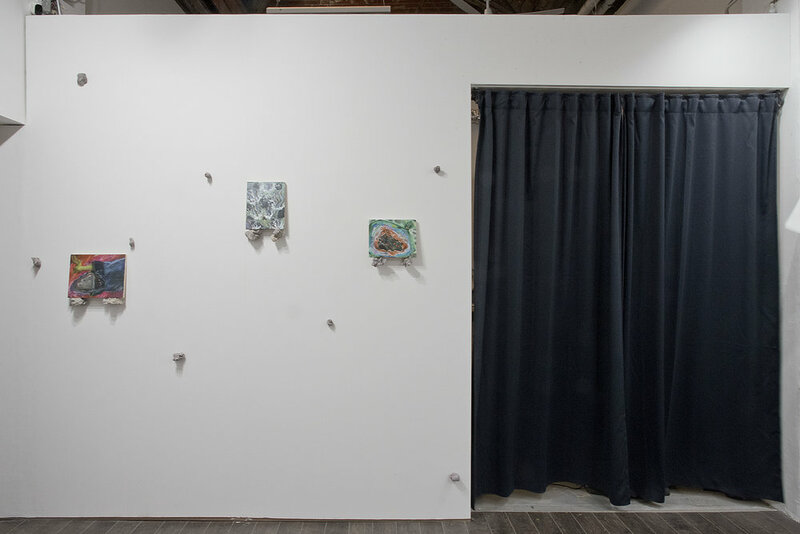 She holds a BFA from Emily Carr University, a BEd from the University of British Columbia, and is currently completing her final year of her MFA at the University of Guelph. Accompanying ACcessible Limited Edition - ‘ED003: Jessica Jang - Diving’ may be found Here. Does the rock belong to you, or to me?